Charlwood Design enjoyed some valuable insights from this year's AGIdeas advantage business breakfast. 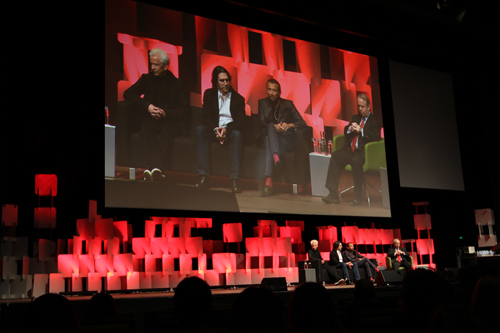 The focus at this year's event was creating value for your business through design innovation. The work and thoughts of the speakers was incredibly inspiring and highlighted the breadth in which design can have a positive impact on a company's success. We thought we would share a brief summary of some our favorite insights from the event from an industrial designer's perspective. Göran Roos - a global expert in intellectual capital science, manufacturing innovation and strategy MC'd the event. He set the overarching theme across all the speakers - that design can be a positive contributor to all aspects of a business's operations and success, as long as companies don’t simplify design as styling or art. He stated that the objective of design is to generate and achieve behavioral change; change that is desirable for the user, beneficial to the supplier and positively impacts other stakeholders. Roos' thoughts on Apple's design objective were interesting, highlighting that they didn't necessarily invent new technology but rather redesign the delivery of their product so everyone in the "eco system" benefits. Clearly Apple benefits but also the app developer and the telco carrying the data. Mauro Porcini, Chief Design Officer, 3M echoed this view. He spoke of a new social scenario where consumers today are much more difficult to categorise and understand and this has had resulted in companies, like 3M, needing to fulfill the an emotional desire in the user as well as complete a functional task. He spoke about the emotional flow in the life of the product that spans 3 phases. The initial visceral relation when viewing the product before purchase, the interactive relationship withe product and the expressive relation - the act of sharing the product and your impression of it with others. One of our favourite quotes of the day came from Mauro when he said "listen to your customers, but don't believe them..." A great expression of the value of design research, in particular the value of observing how the user interacts with your product and it's features, which is often different to how they would describe it in a design brief. Our team is a firm believer in quality research and often employ ethnographic and participatory design research techniques as part of our design process. Finally Mauro's definition of "design strategy" was interesting, because it was different to how many conventional companies define it. Design strategy is a business strategy that leverages design. It is not just a consistent look for the brand, but rather a valuable business asset. To achieve this design needs to be ingrained into the culture of the company. Design led companies learn, they adjust but they don’t compromise. Charlwood Design's latest team member Dean Benstead was particularly inspired by Australian Silversmith Johannes Kuhnen at this year's AGIdeas event. Johannes Kuhnen from the Australian National University, Gold and Silver smithing department, spoke passionately about the importance and benefits of materiality in design. Developing jewellery, vessels and spectacles like art forms. He spoke about his short attention span with one design (laughing), he will only work on a design if there is a great opportunity to improve or develop the function and form. He uses inspiring traditional techniques for production of such quality and timeless designed pieces. 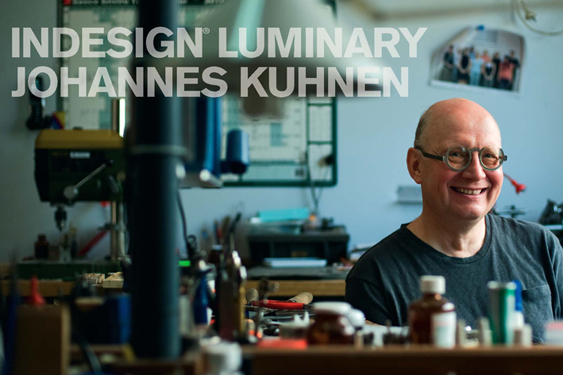 Bending, twisting, cutting and forming, Kuhnen’s design and making process just makes you want to get some metal and head to the workshop. His constantly evolving spectacle designs show an amazing amount of problem solving, material use and technique. They are like art forms. He spoke about the love of fabricating short runs and not making thousands of his designs. A passion for the bespoke and personality within a product for an individual user. Manipulating different metals, with chemical treatment, bending techniques and fine fixings are the key to his highly aesthetic pieces. His use of anodised aluminium allows such vibrant colours and designs. This vibrancy in his work is what stands out and highlights the traditional metal smith techniques and materials. His minimalist approach to the spectacle design is seen with arms that are created with one bend, yet highly detailed fine joints and hinges just look amazing. We love the detail (tiny bolts, tension wires, o-rings, amazing hinges and fine lens holders) in the glasses and would love a custom designed pair. 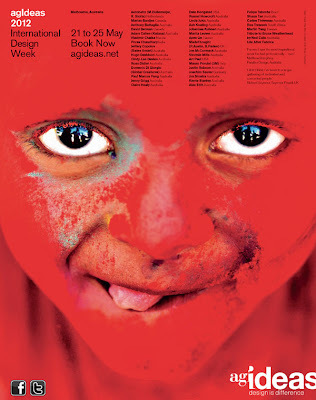 Charlwood Design was thrilled to once again be a part of the AGIdeas International Design conference. The studio has been a longtime supporter and visitor to this great event for many years. Director Paul Charlwood was invited to present in 2006 and we host an Studio Access - Open studio night as part of the event for a handful of keen design students. Stay posted for some of our favorite insights and experiences from this year's conference. We loved reading about this honeycomb surfboard project by Kiwi Mike Grobelny. He also has an interesting philosophy behind the project, redesigning the production process and removing the toxic materials associated with traditional surfboard manufacture. Also a great timelapse video of the process. In collaboration with machine fabricators Trumpf, Tom Dixon did a live demonstration of the Stamp chair and Stamp lamp being fabricated on-site at this years Milan Furniture Fair. The studio has been really inspired by this process which allows product design's to be created and sold directly to the end user off the machine without the need for tooling.